I’ve always drunk my cold drinks with a straw. I’m not entirely sure why—maybe just one of my (many) strange quirks—but I think it started when I was a child. I always had very soft teeth and at every visit to the dentist it was drummed into me over and over that I had to look after my teeth (or they’d basically fall out of my head), so I started to believe that if I used a straw then my drinks would just go straight down my throat without touching my teeth! Anyway, over the course of a lifetime I can’t imagine just how many straws I have used. And each one of those—being single-use plastic—is now sitting in landfill, or worse the ocean, never to break down! I read a stat recently that said over 500 million straws are used in the US EVERY SINGLE DAY!! I can’t remember where I read this—so can’t verify the stat—but if I look around at my local mall food court, cafes, restaurants, bars etc and the numbers of straws being used I can well imagine this number could indeed be likely. 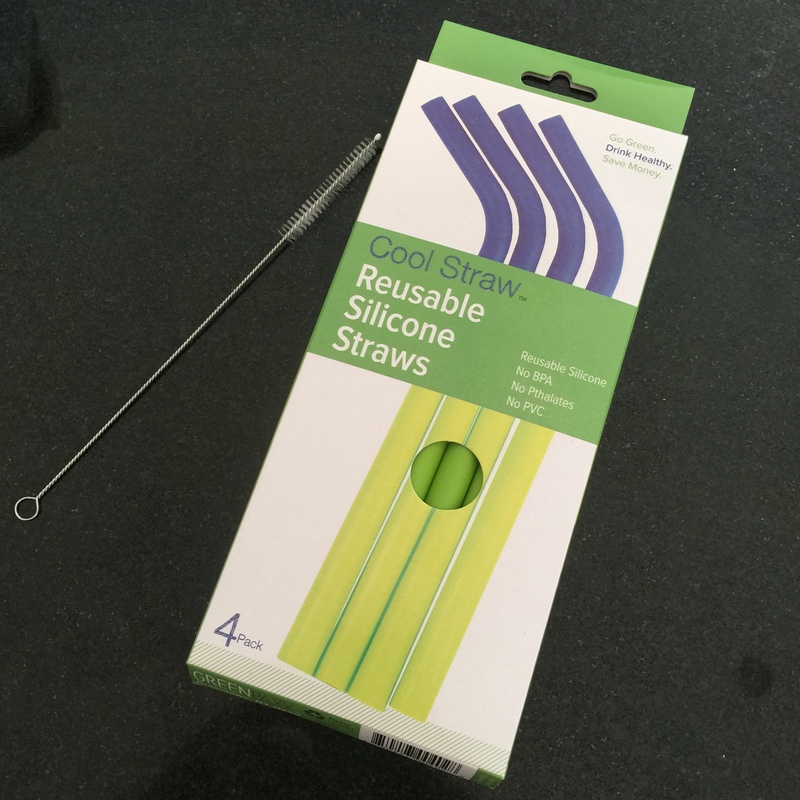 Reusable straws are without doubt the answer, however the traditional straws I had seen until recently were made of bamboo or stainless steel and not an option for me as I like to ‘chew’ my straws when I drink. Don’t ask me why. Just another strange quirk—and one that drives my husband insane if he tries to take a sip of my drink and finds the straw end is chewed! So imagine my elation when I find these reusable silicone straws in my local Biome store. Reusable AND being silicone they can be squashed and so I can still chew the straw when I drink. Priced at $16.95 for four straws they’re obviously not super cheap, but I feel better knowing that I’ve made another small commitment to the environment.